Whether you need to draw a cat, a flying squirrel, or a sea horse, How to Draw Almost Every Animal is your ultimate go-to guide! Not sure how to start your drawing of a flamingo or slippery slug? Boggled by how to draw an antelope, an armadillo, or a cheetah? How to Draw Almost Every Animal is here to help! Need to draw a hippopotamus? A lazy, brown dog? A quick, red fox? 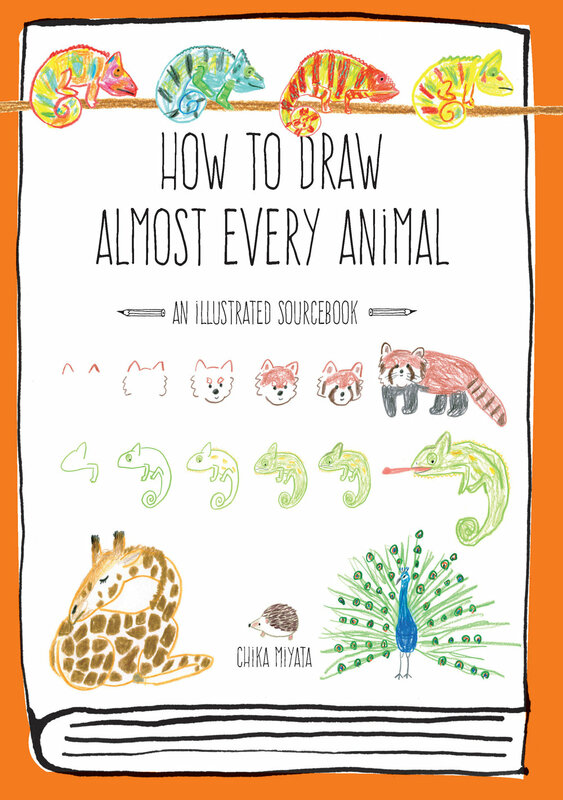 Then this collection of over 75 adorable animals to draw and doodle is just the book for you! This teaching tool does more than just show you completed pictures of the animals. Each illustration is broken down with step-by-step diagrams and helpful tips to truly teach you how to draw. 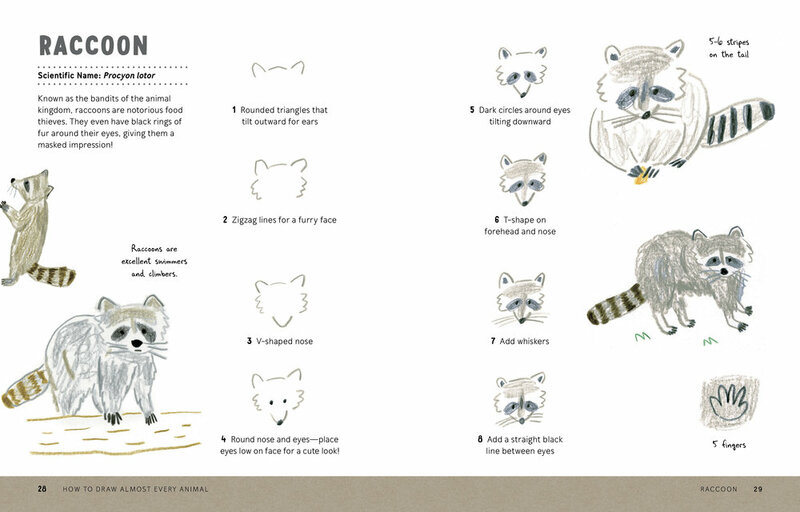 Plus, we’ve included extra images to teach you how to draw animals relaxing in their natural habitats and on the move. A helpful how-to section includes valuable coloring tips and techniques for mastering fur and feather, spots, stripes, scales, spines, and everything else animals are covered in.